Getting down with some Finger Lakes Gewürz’! In a little more than three hours I will participating in another Twitter Taste Live event sponsored by Finger Lakes Wine Country and The New York Cork Report. This time the feature grape is Gewürztraminer, one of my favorites. I love examples from Washington State & Alsace, but have only had a handful of New York ones that I honestly don’t remember. Looking for the Finger Lakes to bring it tonight with some Gewürz goodness! Thinking I’ll be pairing them with some cheese, either a Roquefort or the classic love of Gewürz, Mr. Muenster. A few of my local tweeps will be joining me @dasjorge, @thegoodwineguru, @berylliumblonde & @voxinferior and hopefully a couple of others. Follow the action on the Finger Lakes TTL site, and/or follow the hashtags #FLXWINE & #TTL on twitter tonight starting at 8pm Eastern. At 8pm on November 21st the social online tasting phenomenon Twitter Taste Live will hit a new level as we Drink Charitably. Hosted by Lenn Thompson of LENNDEVOURS the joint event from Humanitis Wines, Twittermoms.com and Drinkcharitably.com will bring together wine bloggers from around the country for a good cause. 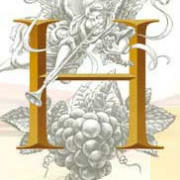 Humanitis wines led by owner/winemaker Judd Wallenbrock donates 100% of the profits from their small production wines to charity. The first 3 of the wines can be bought as a 3 pack directly from the winery. Purchase now. The Pinot can also be bought directly from the winery. Purchase now. For the event you can follow me live on November 21st on Twitter as well as all the bloggers participating at Twitter Taste Live.